Will the millennium of peace endure? 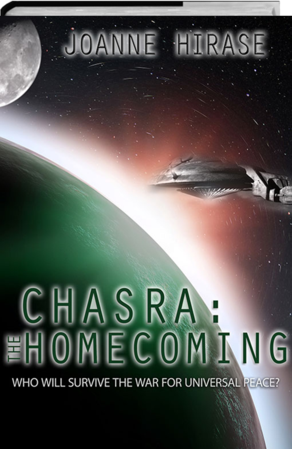 Mac Carter led the Chasramians and their allied planets to victory in the war for universal peace. Now as Chancellor of the Universe, he’s looking forward to a millennium of harmony and tranquility among the hundreds of planets that survived the war. Unfortunately, an evil ancestor of the gods still remains. 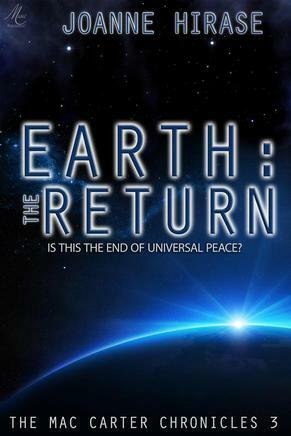 Mac must make the journey to Earth and eliminate the threat without reverting to his Earthly ways and putting universal peace at risk. He comes face to face with his past and an evil so strong that his friends must also return to Earth to help. Sol, his son and successor, is captured by the enemy and Mac finds himself fighting not only for Sol’s life, but his own Earthly emotions. Can Mac win both battles and ensure that the millennium of peace endures? More information available at Musa Publishing. Click HERE to contact Joanne Hirase for information on how to order.